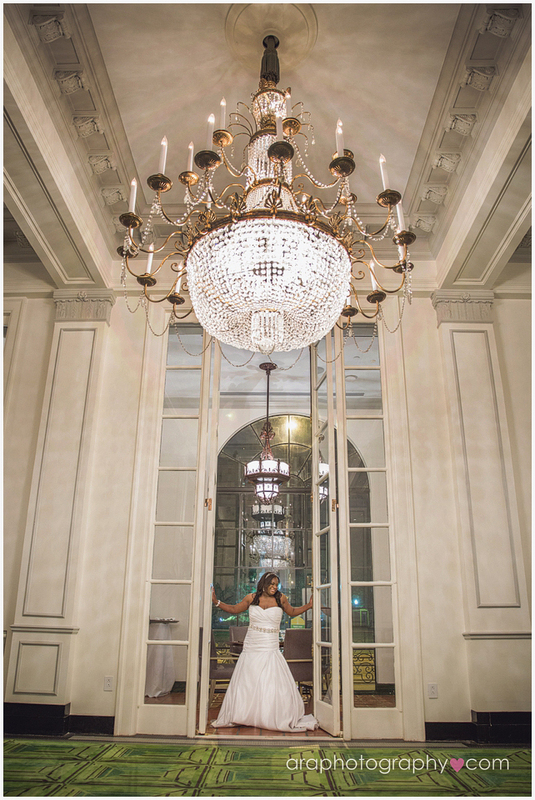 Anthony and Tonya celebrated their wedding ceremony and reception at the elegant Plaza Lecea in San Antonio, Texas. 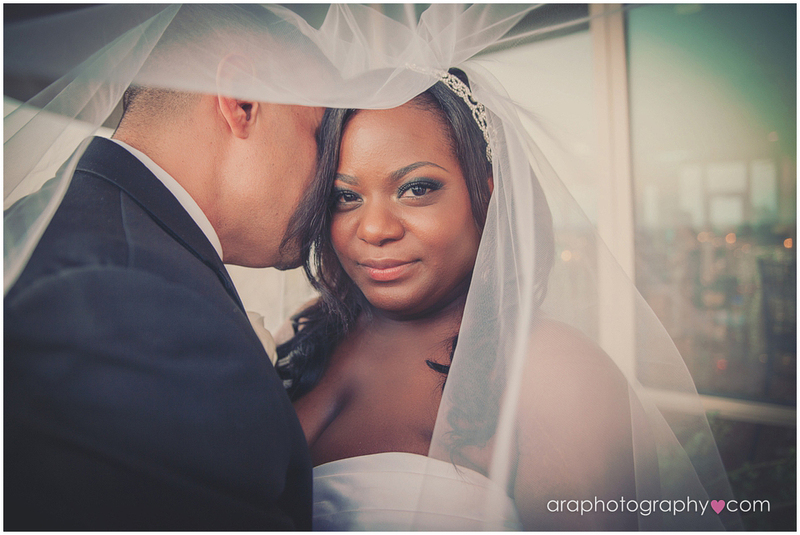 The bride is originally from San Antonio, the groom is from Boston and they met in New York City. 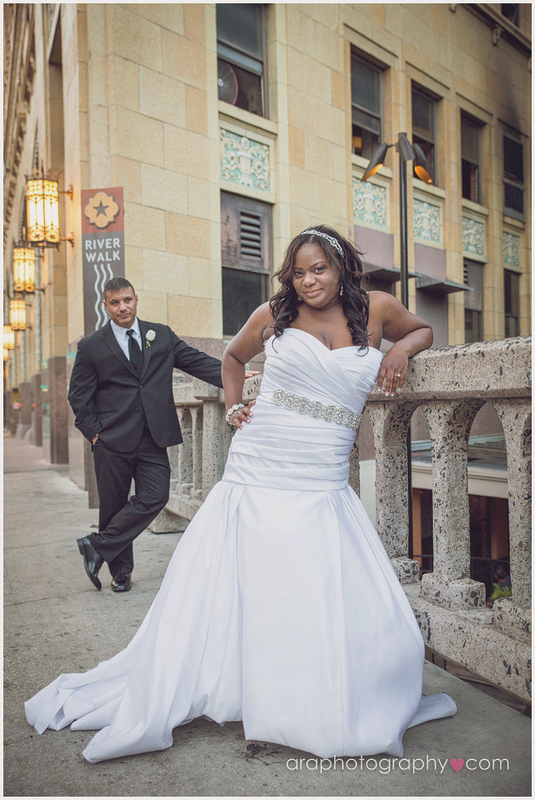 Family and friends from all over the country came to share the couple's special day. 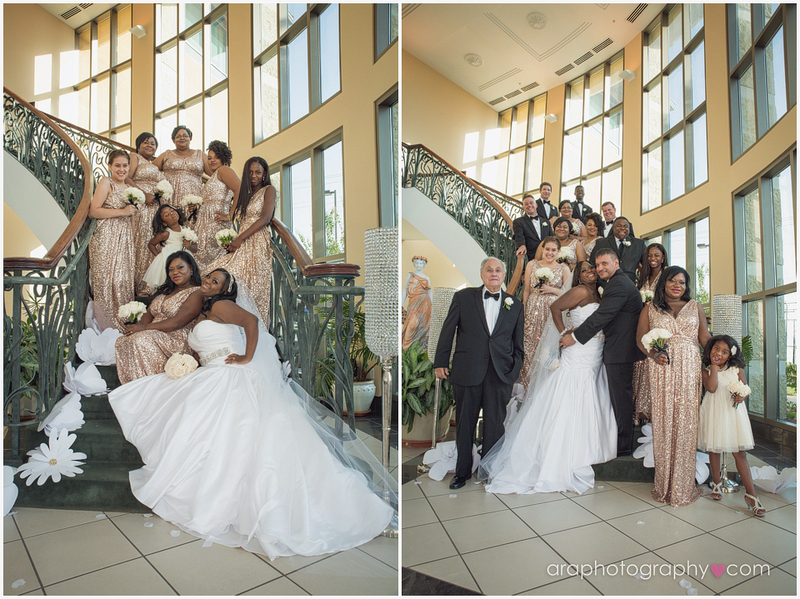 During the ceremony, Tonya descended a magnificent staircase preceded by her bridesmaids in gold sequin designer gowns. She was met at the foot of the staircase by Anthony, sharply dressed in a black suit and tie. They exchanged vows in front of those they love most, including their young son, who behaved like an angel the entire evening. 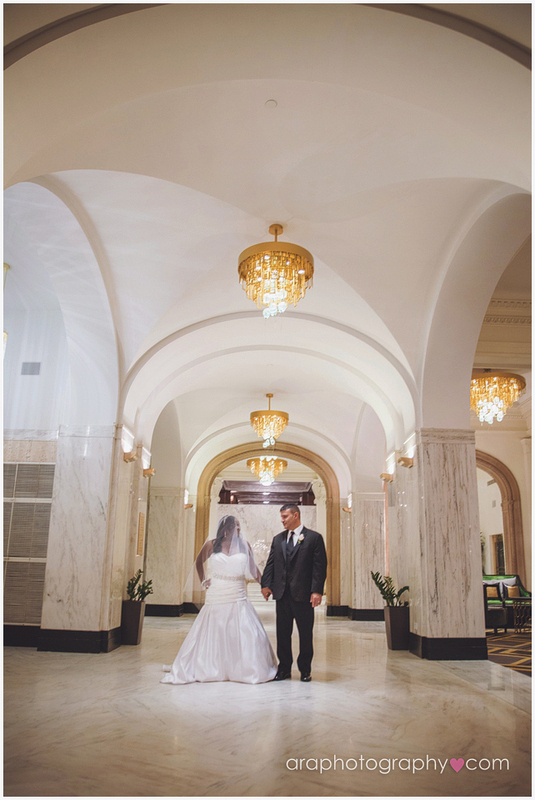 The happy couple met in New York City and small details referencing The City That Never Sleeps could be found throughout the reception area. 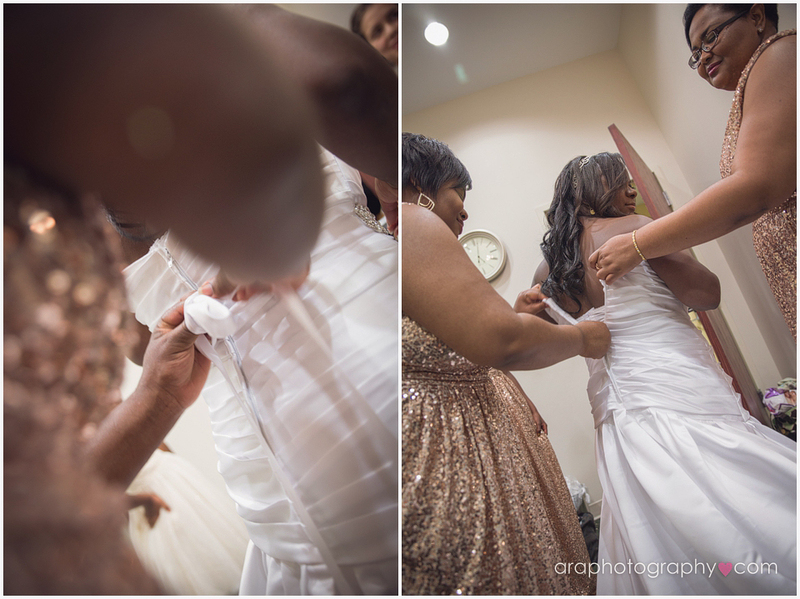 In fact, this wedding had some of the most beautiful details that we had ever seen! 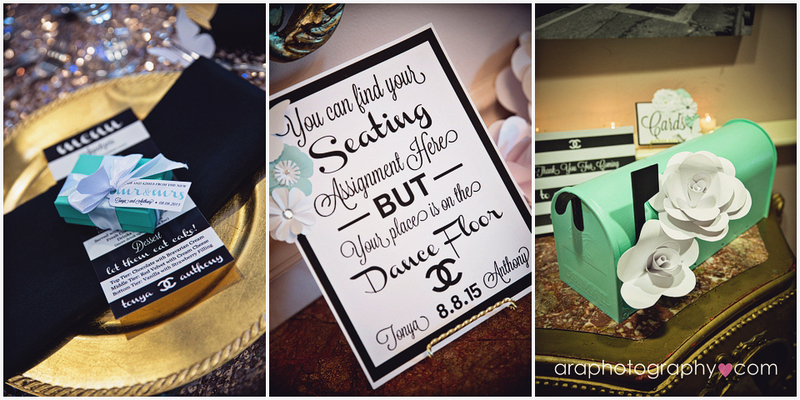 The color palette was a sophisticated combination of black and white with accents of Tiffany blue and gold sequins. Chic touches of bride's favorite stores, Tiffany and Chanel, could be found throughout the space. One of the most stunning details were the hand-made paper flowers that the bride made herself! Thank you Anthony and Tonya for letting us be a part of your beautiful wedding day!